Step aside Jerry Jones. 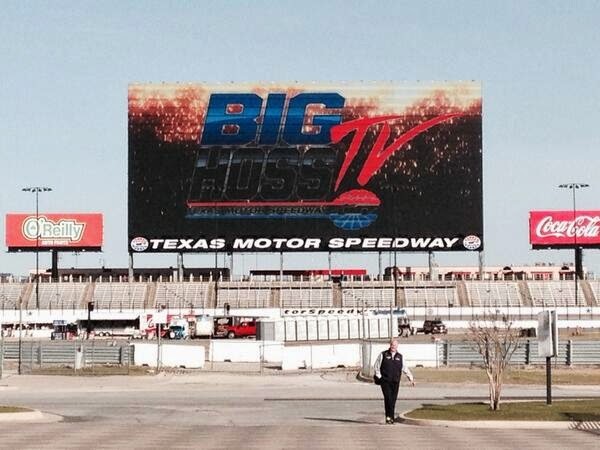 There's a new sheriff in town... Tonight Texas Motor Speedway unveiled the biggest HD video board in the world called “Big Hoss TV” during a free public event to preview the upcoming racing season. The speedway’s infield took on the ambiance of an outdoor festival as fans came armed with lawn chairs and coolers to witness the speedway’s biggest season-opening preview event featuring stars from the racing and entertainment world. Situated in the middle of the backstretch, “Big Hoss TV” towers 12 stories high and encompasses 20,633 square feet of HD imagery that boasts 281 trillion colors and 4.8 million pixels. Texas Motor Speedway will supplant fellow Speedway Motorsports, Inc. track Charlotte Motor Speedway (16,000 sf) as the owner of the world’s largest HD video board and soon establish a Guinness World Record. NASCAR Sprint Cup Series star Kyle Busch, the defending champ of Duck Commander 500 NASCAR Sprint Cup Series and Nationwide Series O’Reilly Auto Parts 300, and three-time Indianapolis 500 champion Helio Castroneves, also the defending champion of June’s Firestone 600, conducted on-stage Q&A sessions to preview their seasons and discuss their upcoming visit to Texas Motor Speedway. Duck Commander's Willie Robertson and his wife, Korie, made a special visit from West Monroe, La., between “Duck Dynasty” tapings to participate in the Q&A session as well. The evening culminated with a 30-minute “Duck Dynasty” episode being shown on the behemoth “Big Hoss TV” beginning at its customary 9 p.m. CT air time. “Big Hoss TV” will feature one of country music’s biggest acts when “Big & Rich” with special guest Cowboy Troy headline the Rockin’ Roundup! 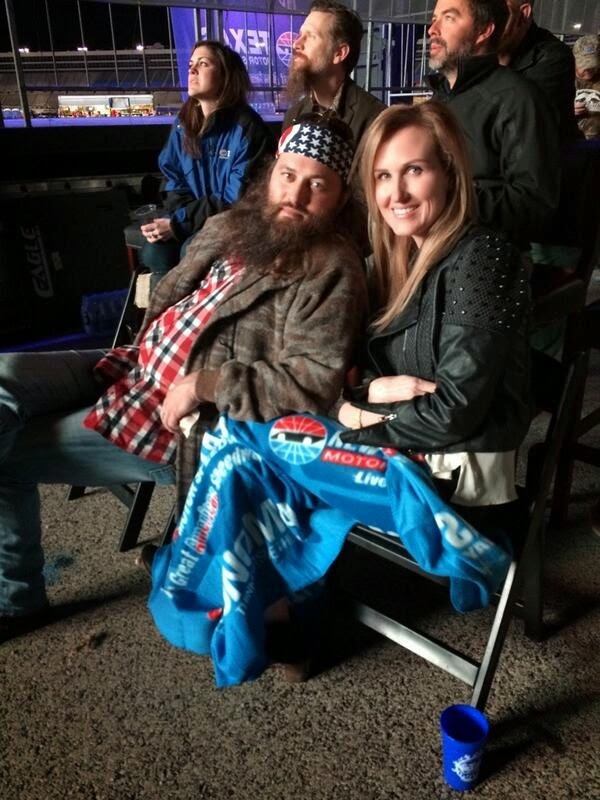 at Texas Motor Speedway on Sunday, April 6, prior to the Duck Commander 500 NASCAR Sprint Cup Series race. The duo of Big Kenny and John Rich will perform a one-hour concert beginning at 12:20 p.m. CT on the frontstretch that will lead into the Duck Commander 500, which is set for a 2 p.m. start. Fans can join in on the excitement of the Rockin’ Roundup! with “Big & Rich” by purchasing a special $79 "mosh pit" ticket. The special ticket, which must be accompanied by a Duck Commander 500 grandstand ticket, provides fans exclusive access stage-side for all the pre-race festivities leading up to the Duck Commander 500, including the concert and driver introductions. To purchase a "mosh pit" ticket or seating to the Duck Commander 500, visit www.texasmotorspeedway.com or call the Texas Motor Speedway ticket office at (817) 215-8500.